SOUTH CAROLINA -- They’re on the road again [with their abuser]. Linda Giaccio hopes to hit the highway today with her 50 felines, heading for their new home in Lighthouse Point, Florida, from Charleston, South Carolina, where police discovered the cats climbing the walls last week in Giaccio’s steaming, stench-filled van. Giaccio, formerly of Upper Darby, Pennsylvania, entered a plea of no contest yesterday to six counts of inadequate care in Charleston and another of ill treatment of animals in Charleston County, where she allegedly left two dead cats. The cats, along with a blind, deaf geriatric poodle also belonging to Giaccio, had been held in “protective custody” at the John Ancrum SPCA in Charleston since July 23, when Giaccio, parked the vehicle outside a Piggly Wiggly market and went inside to buy food for the felines, police said. The air conditioner was left running but was blowing hot air, cops said. 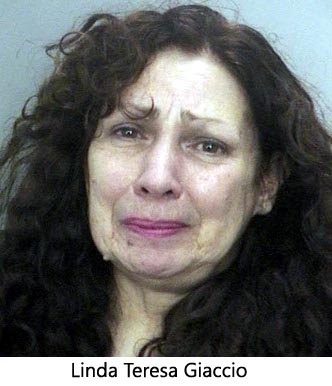 Giaccio, 54, moved from Upper Darby (PA) to Florida with the felines after getting in trouble with her neighbors and authorities there because of the stench created by her hoard of pets. She returned to Upper Darby, Pennsylvania, for a mid-month hearing on animal cruelty charges, where she was fined, and was allowed to the cats along with her, authorities said, because she didn’t trust anyone else to take care of the animals. When Charleston animal-control workers opened the van, it reeked from, and was awash in, cat urine, he said. “She had them running all over the van,” Carlson said. Giaccio had set out with 56 cats, but several apparently escaped. Friends will join Giaccio in another vehicle to carry half the cats, and the SPCA provided extra carriers so they can ride one to a carrier, Carlson said. Humane society and health officials will check on the felines when they get to Lighthouse Point.